GOODBYE RAZOR, HELLO LASER! NOW ANYONE CAN HAVE SILKY, SMOOTH, HAIR-FREE SKIN. Excessive or unwanted body hair can affect both men and women, and using traditional methods it can be difficult and inconvenient to remove. However, thanks to advanced laser hair removal technology, you no longer have to live with unwanted hair. People of all skin colors and hair types will benefit from a delay in hair re-growth after just one treatment. However, because not all hair follicles are active at the same time, multiple treatments are usually needed to remove all hair permanently from each area. We recommend a course of six treatments to achieve hair-free skin, once every six weeks. Laser skin rejuvenation is one of the latest and most exciting procedures available. We perform laser skin tightening with Krypton technology, which delivers higher performance. PhotoFacial involves a series of Intense Pulsed Light (IPL) treatments that improve the appearance of sun-damaged skin, pigmentation, age spots, and acne. The IPL acne treatment destroys the most common bacteria that causes acne without drugs, without pain, and without downtime. The IPL system has FDA clearance for the treatment of Acne. IPL, ” Intense Pulse Light,” is one of the safest acne treatments available and proven to be extremely effective on moderate inflammatory acne. This clinically proven procedure will enhance your youthful appearance by boosting collagen, leaving tighter, smoother and visibly lifted skin. Treatments are safe, pain free, and non-invasive. Tripollar radiofrequency energy heats deep within the skin, tightening collagen and speeding up cell renewal, literally turning back your skin age. Highly effective for all the face and neck. Non-Surgical facelift and neck lift procedure with no downtime. 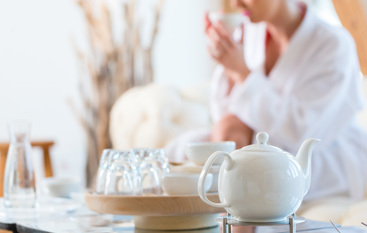 Refresh and Rejuvenate: Exfoliating treatments which give you results! 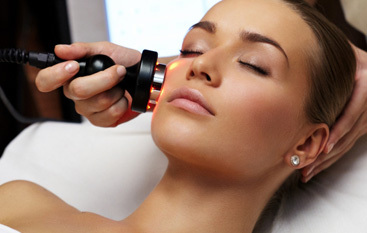 One of the most popular skin care treatments on the market is microdermabrasion. It can be used on all skin types and helps with different types of skin concerns in a painless and effective manner. Microdermabrasion removes the dead surface layer of your skin, which encourages the production of fresh, new skin cells. Your skin will look fresher, smoother, and healthier. Oxygen Peeling is an advanced technology that infuses water and oxygen at supersonic speed deep within the skin, restoring and revitalizing the skin’s natural luminescence. We offer a multivitamin facial treatment to give you what your face needs the most! Facials are a simple and effective way to rejuvenate facial skin for a brighter, cleaner, and healthier appearance. A good facial should take into consideration your particular type of skin and any problems you have with your skin. Men, as well as women, can benefit from the improved appearance that facials bring. 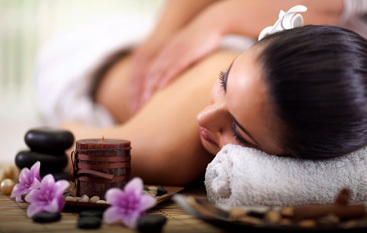 A facial does a number of things for the condition of your skin. It exfoliates the dead skin cells from the surface, removes black heads and other debris from the pores, stimulates the blood flow to the face and smooths the skin surface. These results are achieved through a series of different processes. Non-invasive laser lipo fat reduction has taken the world of cosmetic surgery by storm. This method offers painless fat reduction and body sculpting. Two of the most important benefits here include the quick visible results, as well as the fact that non invasive laser lipo fat reduction is completely safe, with no down time. Join our Weight Loss Challenge to help you reach your Weight-Loss Goals! A smile is the first thing you notice when you meet someone, and it can make all the difference in leaving behind a positive, professional impression. Teeth whitening is a fast, inexpensive, and non-invasive solution to achieving a confident and impressive smile. Teeth whitening is an investment worth making! Our teeth contain millions of small microscopic pores, and over time, substances such as food, fizzy drinks, tea, coffee, or tobacco penetrate these small pores, causing our teeth to discolor and lose that natural shade. Teeth whitening enables you to regain that beautiful smile and achieve a fast and instant color transformation of your teeth. Research shows that there is no risk to the enamel of the tooth from this treatment, and this painless method leaves your teeth visibly brighter. This technology has anti-aging benefits and is a treatment for a number of skin issues. Benefits include minimizing fine lines and wrinkles known as the “anti-aging” treatment which stimulates collagen production, treats acne and dilated capillaries, has anti-inflammatory properties, increases production of red blood cells, improves minor stretch marks, effectively treats abnormal pigmentation, and firms sagging skin. Our eye care treatment stimulates skin to generate collagen and collagen fiber, tighten skin, and remove wrinkles around eyes. RF body contouring involves the use of a radio-frequency (RF) energy device to heat up and tighten tissue to boost blood flow and break down cellulite and fat. The radio-frequency energy heats the skin without damaging it, in order to break down fatty cells and stimulate collagen production, which improves skin tone and elasticity. Radio-frequency treatments can be used to treat excess pockets of fat on the stomach, hips and thighs, reduce cellulite, and tighten saggy skin caused by weight loss or pregnancy. The treatment is very safe and has minimal downtime. Thermage is non invasive; there’s no surgery, no injections, no anaesthesia, and no downtime. Thermage skin tightening treatments stimulate your body’s natural renewal of collagen, which creates subtle, natural-looking results. You don’t need to rearrange your life for complex procedures or long recoveries. * results vary depending on age and skin condition. Liposonix® is a revolutionary non-surgical and non-invasive treatment. LipoSonix was already being used outside the USA for a while. Two generations of the device have already been made. LipoSonix uses high intensity focused ultrasound (HIFU).